Reno Heating & Air Conditioning proudly serves Reno with a commitment to service and value. We are your one stop shop for all your gas fireplace needs. Reno Heating & Air Conditioning has experienced craftsmen who get the job done quickly, efficiently and exactly to your satisfaction. We professionally install and service everything we sell. We also have the capability to service any and all other major brands. 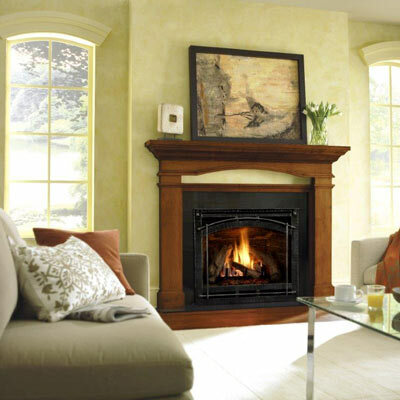 We use only top quality materials from the leading manufacturers in gas fireplace products. From new gas fireplace installation to fireplace upgrades, we have the knowledge and experience to fulfill your dreams of having a beautiful gas fireplace in your home! It's very important to work with reliable and experienced contractors. In addition to gas fireplace services in Reno, we are licensed HVAC contractor. We take pride in servicing the Reno & Sparks. Call us today at (775) 356-6868. Heat & Glo now offers a complete line of gas fireplaces, stoves and inserts, unique surrounds and distinctive accessories-all designed to meet discriminating homeowners' desire for comfort, beauty and elegance. Not only is Heatilator the most widely recognized name, but thanks to their long-standing reputation for quality and reliability, Heatilator is also the preferred brand among homebuilders. Leading builders choose Heatilator because they know that the brand assures their customers many, many years of comfort and reliability. Learn more about Heatilator Products.